Picture-perfect conditions greeted the fleets to kickstart the 10th anniversary edition of Les Voiles de St. Barth Richard Mille as the nine classes raced around the west side of St. Barth on racecourses ranging from 24 – 36 nautical miles in 15 – 20 knots of breeze. 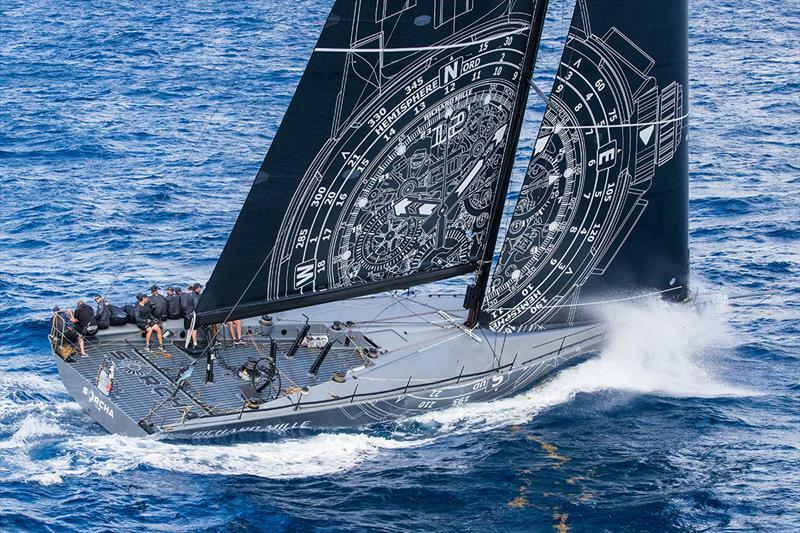 Of the 2019 entries, almost 30 percent are first-timers, a sure sign of this regatta’s popularity known for delivering the perfect blend of great racing, gorgeous scenery and the St. Barth signature relaxed shoreside atmosphere. 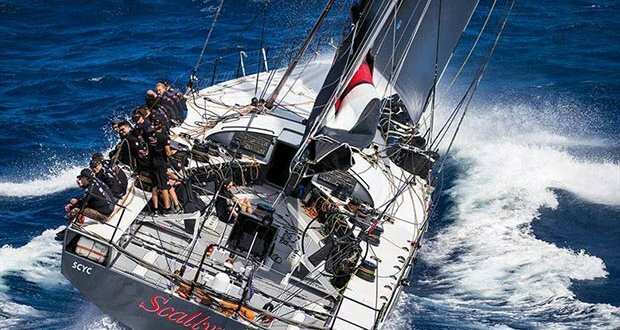 According to Rob Trainor, sailing on board Triple Lindy, the boat is named by owner Joseph Mele in tribute for Rodney Dangerfield’s signature move from the classic movie “Back to School,” The team represents at least six countries and has sailed around the world in events such as Sydney to Hobart and now Les Voiles de St. Barth Richard Mille. Credit Mutuel – SGS begins 2019 event in the same form they finished the 2018 edition – sitting in first. Team Island Water World, the smallest boat in the regatta, is in 2nd, and Maelia Caisse d’Epargne Cepac Antilles is in 3rd. Currently in 4th, the J105 Sunbelt Realty Jenk team hails from Caracou and Bonaire, and is thrilled to be racing at Les Voiles de St. Barth Richard Mille for the first time. “We love to sail new regattas each year, to see new things and learn new islands,” said Van der Straaten, who is tactician on board. Vincent is sailing with his long-time crews that he races with between California on a J111 and Florida on his Aerodyne 38. “We hit 20 knots of boat speed today and that’s just a fun thing to do. My other boats are a little smaller than this, and this boat is 30% faster. Phan currently sits in 3rd place and will have their work cut out for them racing against Les Voiles’ regulars, the Melges 32s Lazy Dog and Kick ’em Jenny, in 1st and 2nd respectively; with Taz, a Reichel Pugh 37, in fourth. “We already love it here, and have just had a ball. We’re here from the UK with my family and some of my regular crew. Although we didn’t do as well as we hoped today, we expect to improve as the regatta continues,” he said with a smile. 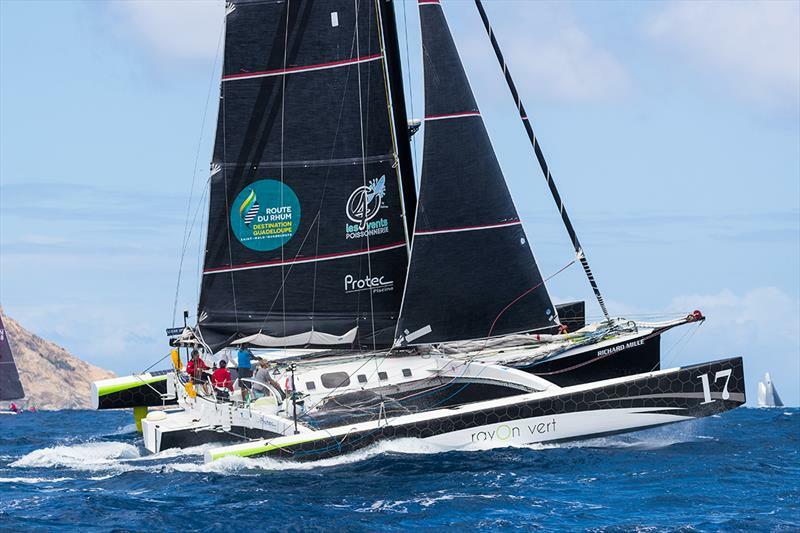 In the three-boat fleet of Maxi 1, currently Sorcha sits in 1st, and is skippered this year by Les Voiles de St. Barth Richard Mille 2019’s ambassador, Pierre Casiraghi. SHK Scallywag, the Dowell 100 is in 2nd, followed by Ambersail 2 in 3rd.